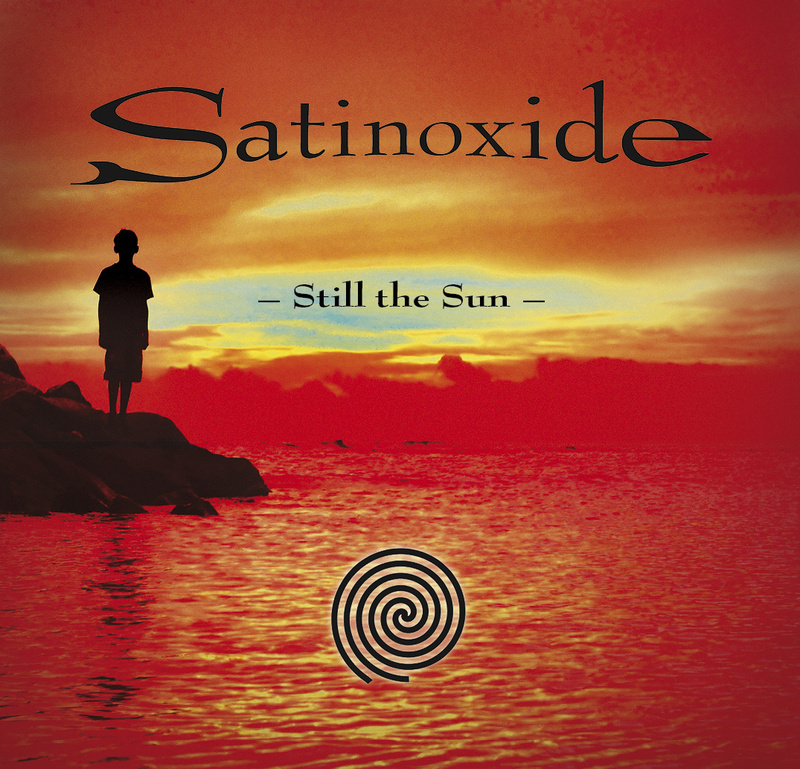 “Still the Sun” is the debut release of Satinoxide, a band made up of Dutch atmospheric – and progressive metal veterans. Atmospheric and technical in equal measure it is a breath of fresh air in a genre saturated in bombast, excess and overblown pompousness. Setting itself apart from its peers “Still the Sun” was partly inspired by Buddhism, and the Tibetan Book Of the Dead. The trio’s fiercely independent spirit, and unwillingness to compromise its vision is what makes this debut so strong. Assisted by a swath of studio musicians Satinoxide is one of the most promising new outfits of the Dutch symfo scene. Initially the unit formed as a progressive metal band in 1994 under the name Tremor. 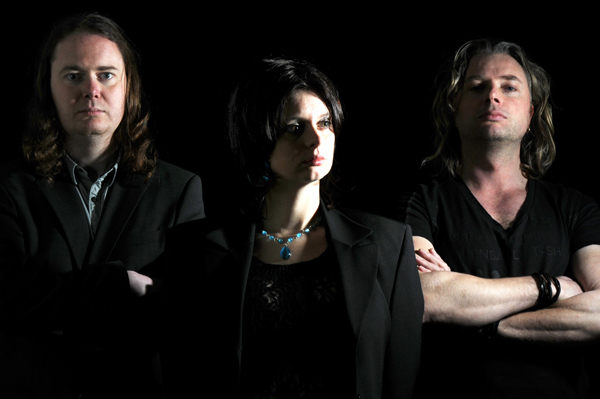 In 1998 the band transitioned into more atmospheric territory under its new name Cassiopeia, where the trio continued to work with a few future Epica members of the band’s prior incarnation. A year after the dissolution of Cassiopeia its core trio resurfaced as Satinoxide. The bandname is a portmanteau of ‘satin’ and ‘oxidation’. 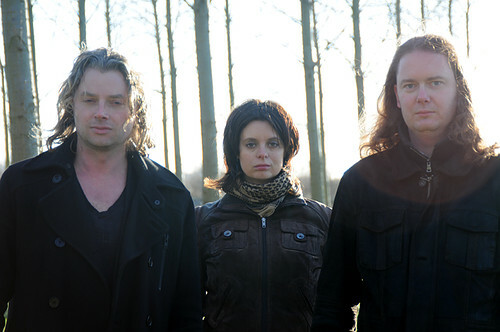 The band consists of Martijn van der Bliek (electric, acoustic guitars), Marloes Matthijssen (piano, synthesizers) and Oscar Postema (vocals, piano, synthesizers). One of Satinoxide’s biggest strengths is that they sound like some of their more popular peers without outright copying them. In various parts “Still the Sun” sounds like “Nighttime Birds” The Gathering, and “Oblivion” Orphanage, but instead of copying their sound as any less gifted constellation would do, Satinoxide merely borrows one, or more stylistic elements of those specific bands, and works them into a sound that is wholly its own. Lyrically the trio delves into a number of interesting subjects. Principle subjects include romance, Buddhism, and the Tibetan Book Of the Dead. ‘Longing’ is about romance in ancient Greece. ‘Nectar Of Desire’ is about carnality, yearning, and the pleasures of the flesh. ‘Three Stages Of Being’ details the Dharmakāya, the three stages of the Buddha in Mahayana Buddhism. ‘Strangers’ is about the anonymity and soullessness of contemporary consumption- and greed-driven society. ‘Throbbing Pulse Of Death’ is about Jama, or Yama, the Buddhist God of Death. Satinoxide isn’t the first to tackle Buddhism within a metal context as Lusitian metal band The Firstborn has been exploring the subject as early as 1999. More recently US grindcore act Cloud Rat employed it as a spiritual undercurrent to its scathing socio-political subject matter. “Still the Sun” is a record of contrasts. The first half of the record is positively uplifting, and life affirming whereas its second half is a lot darker in comparison. Especially ‘Throbbing Pulse Of Death’ is probably the darkest sounding track of the album. A lot of the songs are midtempo, serene affairs that derive strength from its tranquil atmosphere and top-notch instrumental performances. However when Satinoxide opts for a heavier, and more direct approach they do so convincingly. Postema’s harsh vocals are reminiscent of George Oosthoek from Orphanage. These harsh vocals are offset by a variety of other vocal styles, including the vocals of Marjon van Iwaarden on ‘Strangers’. ‘Three Stages Of Being’ opens with a mantra-like chant, while ‘Strangers’ is a duet with Marjon van Iwaarden, and Thorwald Jorgensen performs theremin on ‘Throbbing Pulse Of Death‘. ‘Sacred Ground’ is the closest the band comes to playing more conventional sounding symfo metal, the track borders on “Enter” era Within Temptation musically. The title track is a gentle semi-acoustic track with emotive vocals, light synthesizers, and minimal drumming. It is the ideal closer to a highly atmospheric genre record. Satinoxide assembled a number of notable session musicians to complete its vision for “Still the Sun”. The rhythm section consists of Stef Broks (drums, Textures), and Christian Robbemond (bass guitar), with Luc Oggel providing all lead guitar parts. Additionally there are Marjon van Iwaarden (vocals on ‘Strangers’) and Thorwald Jorgensen (theremin on ‘Throbbing Pulse Of Death’). The connection with technical metal band Textures is further strengthened by the fact that the album was mixed and mastered at Split Second Sound by Jochem Jacobs (Textures). The production possesses an incredible level of clarity, and is blessed with an innate sense of both bass-heaviness and concreteness often lost on death metal bands of the day. The rhythm guitar tone is crunchy and vibrant, and the drum tones are never overly processed or sterile sounding. There are label-sanctioned releases that don’t sound nearly as good as this record does. While the record isn’t unconventional by any stretch of the imagination no label was found willing to invest in the band, and its record – and as such it was released independently in 2011. That the band refuses to adopt the usual metal imagery, and visual side speaks volumes of their strength of character. “Still the Sun” merely uses its metal roots as a foundation to built its sound upon, and the band pulls influence from several non-metal genres musically and lyrically as well as in terms of packaging. The record refuses to be catagorized as solely a metal one is its biggest strength. “Still the Sun” is one of the best Dutch symfo metal of the last half decade. It is a shame that Satinoxide hasn’t been able to get the attention they deserve. Hopefully they’ll gather the necessary funds and resources to amaze the underground with a second record.